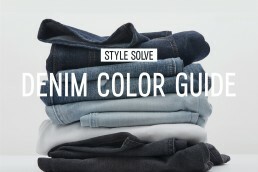 If your denim stack looks like eight variations on the same shade of blue, you’re doing denim wrong. Owning a variety of different colors and washes is the key to wearing jeans every day of the week without ever looking like you’re repeating outfits. We’re not saying you can’t play favorites or anything, just that variety keeps things interesting. Also important: Knowing how to launder your jeans so they stay as fresh as possible wear after wear. The trick there is not over-washing your jeans and being gentler on them when you do. Denim is rugged and built-to-last, but no garment is a match for a half dozen extra-hot wash-and-dry sessions per month. Here, a look at all of the colors and washes we think you should have represented in your wardrobe—plus a few tips on keeping them looking brand-new even after months of adventures. Dark jeans always look clean, cool, and polished. 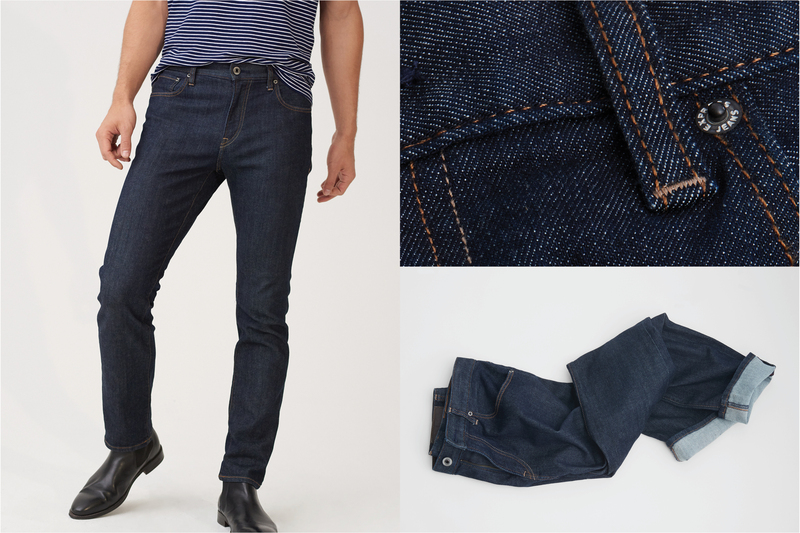 If you go with raw selvedge denim, that uniform look will eventually give way to a more broken-in appearance. If you want consistency, stick with pre-washed dark-rinse jeans, washing them inside out in cold water to preserve the color even longer. The beauty of dark jeans is that you can dress them up with a sweater and boots or wear them with your oldest concert T-shirt and sneakers. We say do both—and often. Medium wash jeans give off a classic, all-American vibe that’s always in style. The ideal shade of indigo and wash will vary slightly from season to season. Or maybe you have a specific tone and level of distressing you’re partial to. Whatever the case may be, they belong in your wardrobe. Take a break from hoodies and sneakers by wearing your medium-wash jeans with a blazer and t-shirt for a look that nods to the ‘90s. Nothing is as chill as a pair of light wash jeans—especially when you double down on comfort with a relaxed fit. While you shouldn’t precious with this wash, knowing how to treat stains and spills is key. Use warm water and gentle soap for most spots, baby powder on oil-based ones. We love light-wash jeans with a classic white T-shirt or denim shirt in a similar wash. Finish the look with suede boots for a Western feel or high-top sneakers for greaser vibe. For those mornings when you’re feeling more punk than polished, nothing beats a pair of distressed black or gray jeans. To keep this pair in its just-faded-enough sweet spot, wash them inside out on cold and hang to dry. 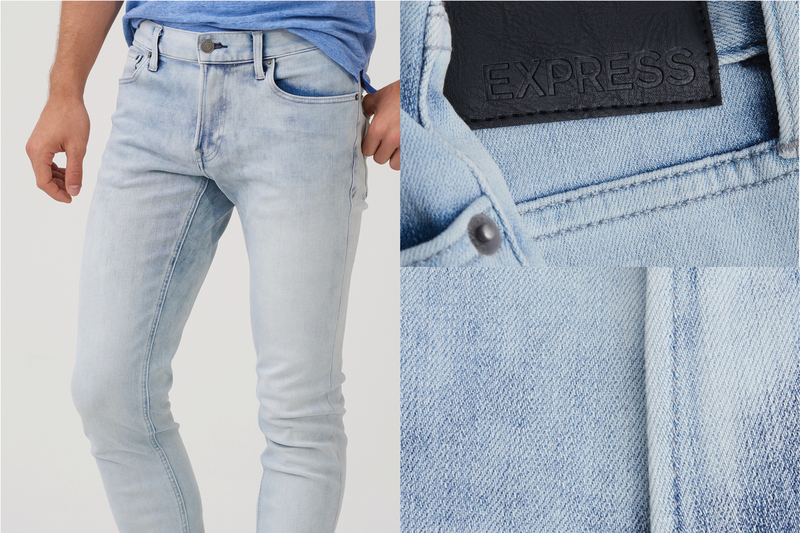 Heat + dyed denim = a pair you eventually can’t wear. A striped T-shirt and Chelsea boots or black high-tops with gray jeans is rebel style at its finest. Bonus points if you’ve got a knee poking out too. What white jeans lack in laundering ease they make up for in outfit-making abilities. Two pieces of advice: Try Scotchguard before your first wear to repel most stains and avoid bleach when you can. Bleach will yellow your jeans over time and cause them to rip more easily too. Not worth it.